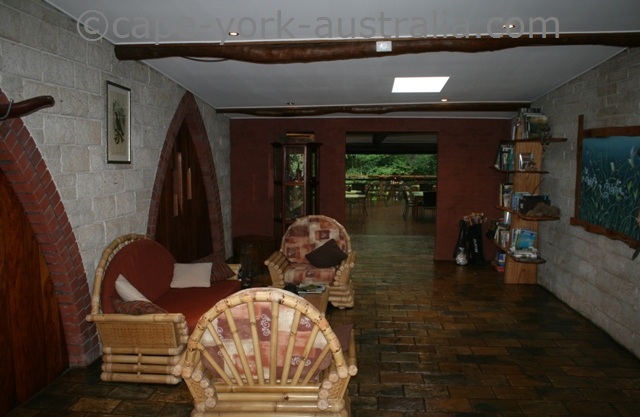 On this page you have Kuranda accommodation. 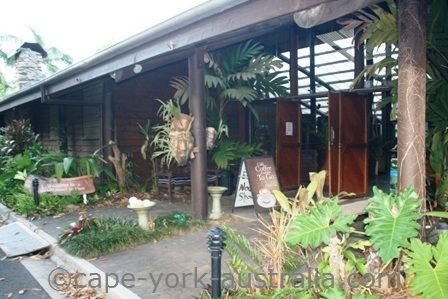 The town is small and there is not a huge amount of places, but there is at least one of each: a hotel and a motel, a backpacker hostel, bed and breakfast accommodation, a resort and a caravan park. And there are places outside the town if you have your own transport. 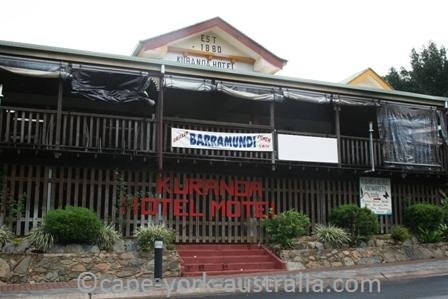 There is at least one proper hotel (where you can stay as opposed to just a pub) and it is the Kuranda Hotel Motel on Coondoo Street - in the end of the street that is closest to the railway station. It has a public bar and a restaurant, and it also has hotel rooms. 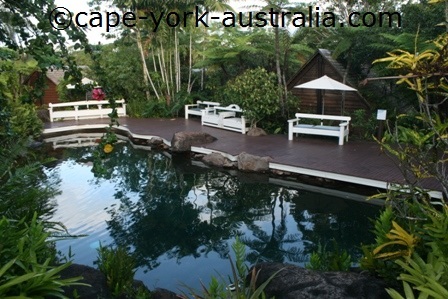 There is one resort - Kuranda Resort and Spa - just outside the town, on the main road between Cairns and Mareeba. 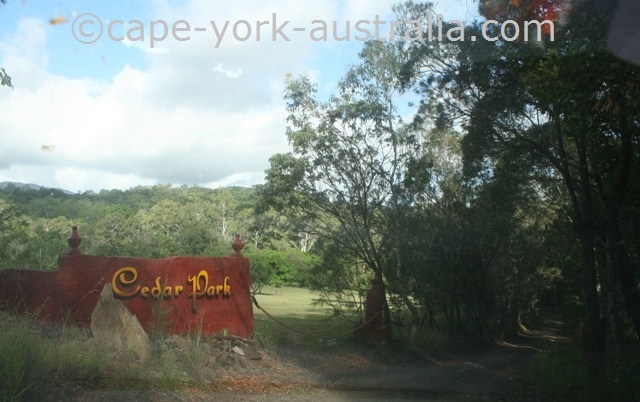 And there is another one that is not walking distance - the Cedar Park Rainforest Resort further towards Mareeba along Clohesy River Road. 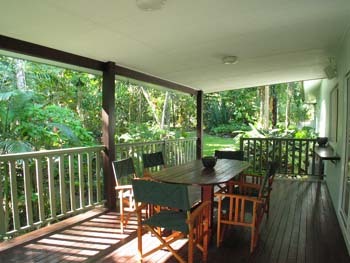 Bed and breakfasts are always nice places to stay, and in Kuranda they are extra cosy in the lush rainforest. There are at least two in town. Both are a little bit away from the central streets - one is south of the town, and the other one is just north. There is one caravan park. 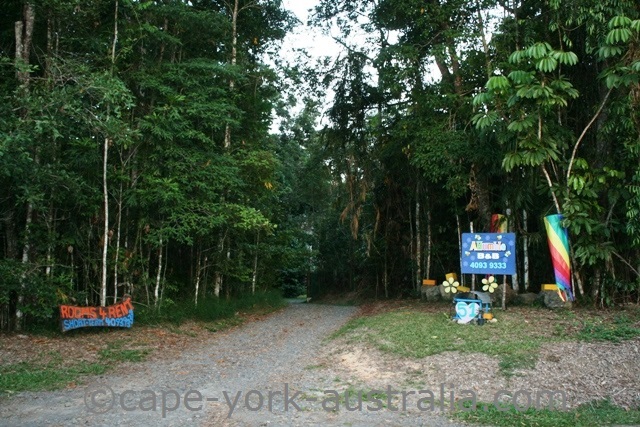 It is just outside the town on Kuranda Heights Road, across the highway at the traffic lights where the main road turns into Kuranda. It has powered and unpowered camping sites, cabins and units, and a swimming pool. 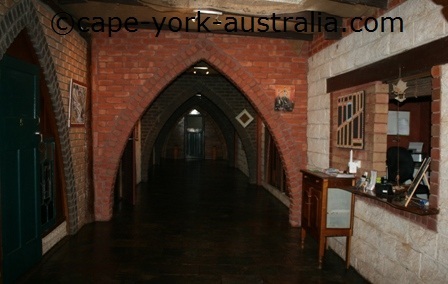 There is one backpackers hostel in the town, close to the railway station on Barang Street. 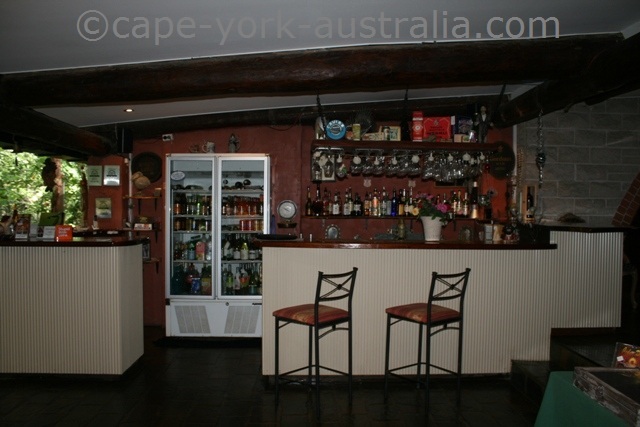 Great location walking distance to the markets and everything else in the town's central streets. And there is another one in Kuranda Heights Road just outside the town. There are more places a bit further from Kuranda. 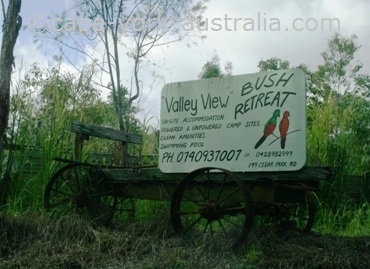 You can stay at Speewah Tavern, Sunbird Cabins and a few more bed and breakfasts in Speewah, and there is also more camping at Valley View Bush Retreat near Cedar Park Rainforest Resort - turn into the Clohesy River Road. 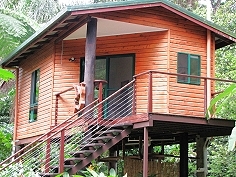 Below you have the Kuranda resort accommodation. The first one is just outside the town, and closed for renovation during 2014. The second one is a good drive west of the town, but a very nice and friendly place. The thrid one is a private retreat in the western outskirts of the town. 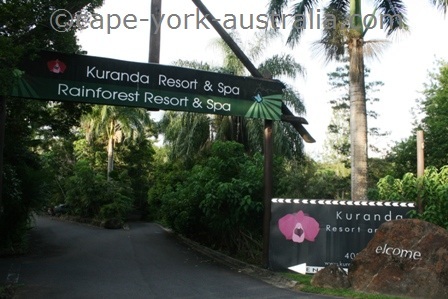 Aka Kuranda Resort and Spa, it is just outside the town, on Kennedy Highway. It has self contained apartments and Balinese style villas. In the complex there is a swimming pool, a spa, tennis courts and a fitness centre, a beauty room, and a bar and a restaurant. 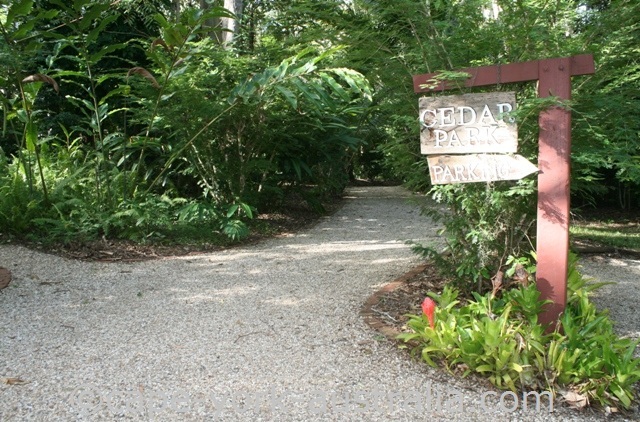 The Cedar Park Rainforest Resort is further away, definitely not in a walking distance. 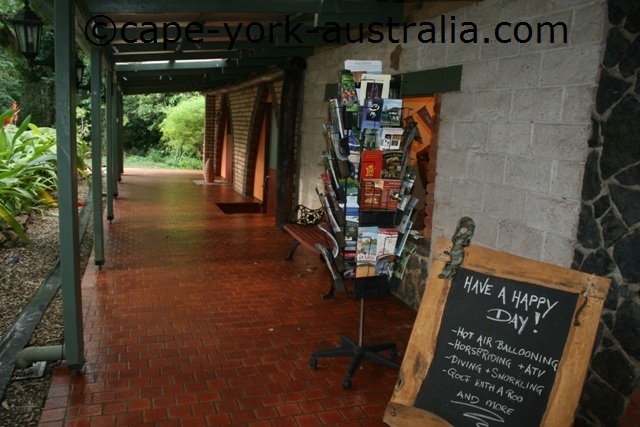 It has six individually decorated rooms with verandahs, mini bars and tea and coffee making facilities. There is a spa, and a licensed bar and a restaurant. 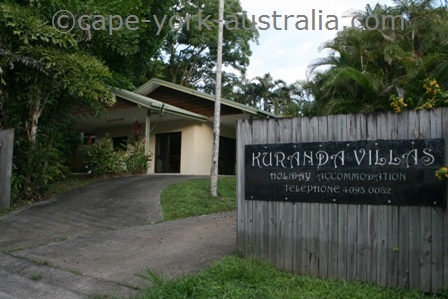 This is not a real Kuranda resort but a secluded and totally private, fully self contained retreat for two; with a fully equipped kitchen, king size latex bed, TV/Foxtel and CD/DVD player and library; a/c and fans, washing machine and dryer, gas barbeque, outdoor spa, and a waterfall with a plunge pool. 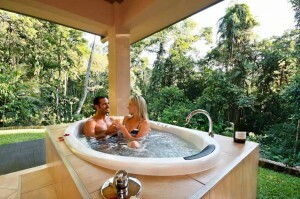 Below you have Kuranda hotels and alternative accommodation. There are a few places to stay in town, and below are the town's hotel, villas; and a place for birdwatchers and an artist's studio. The first two are central, while the third is in the eastern and the fourth in the western outskirts of Kuranda, both a few minute's drive from the village. 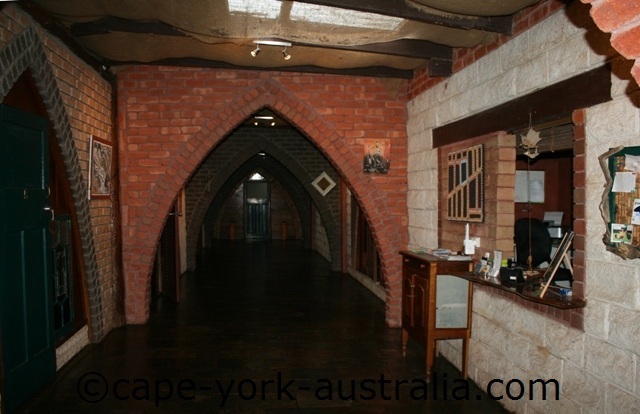 This hotel is close to the train and skyrail station in the main street - Coondoo Street. It is also a pub, with a public bar and a restaurant. 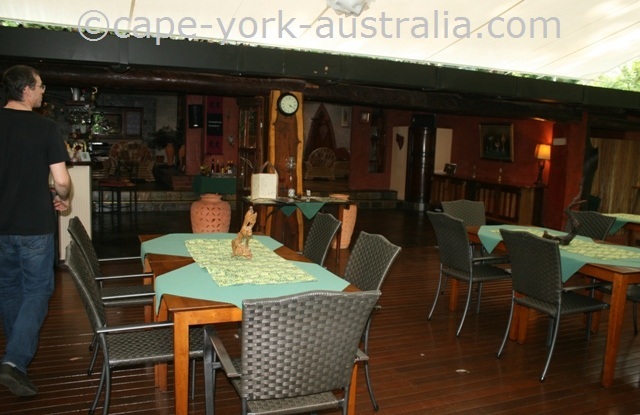 There is deck dining and an air conditioned dining room. The hotel has single, double, family and twin rooms, and a swimming pool. 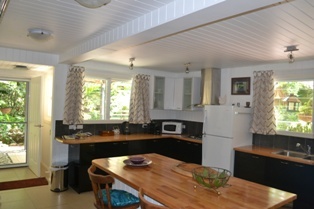 These self contained villas have fully equipped kitchens, king and queen sized beds, TVs, CD and DVD players, a washing machine and a dryer, a bath and a shower, an undercover parking area, and a patio with BBQs, an outdoor table and chairs. There is also a nice outdoors swimming pool. 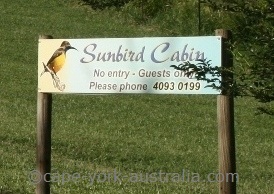 This cabin is fully self contained and has a queen bed, an ensuite bathroom, a fully equipped kitchen with two burner hot plate, microwave oven and a fridge, fans for the summer and an electric heater for the winter, towels, linen, fly screens, WI-FI, CD player, and books including a field guide of birds. 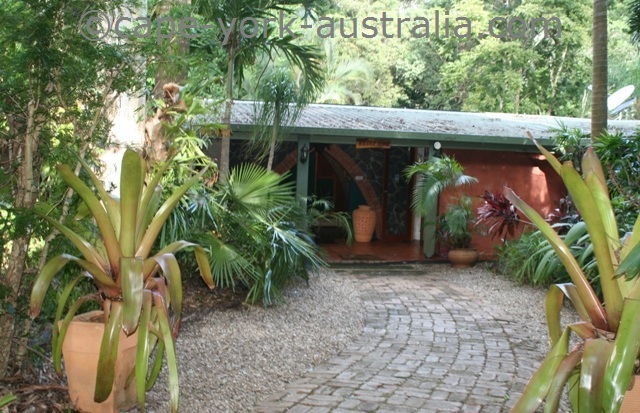 This is a different stay from other Kuranda accommodation providers - a well equipped, self contained and comfortable accommodation suite with its own bathroom and kitchen facilities, for up to two single persons in an artist's working studio and sculpture garden. 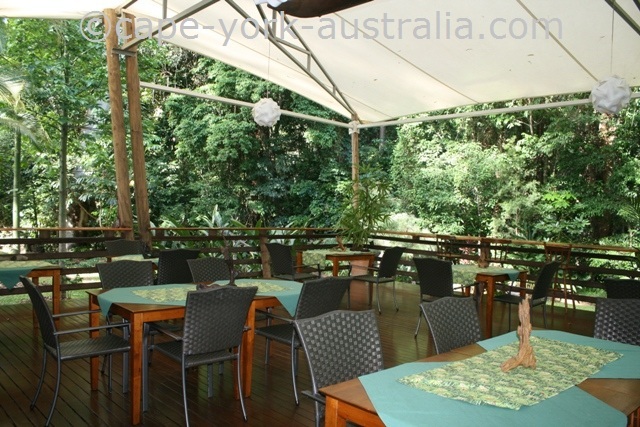 The are a few Kuranda area hotels outside the town. 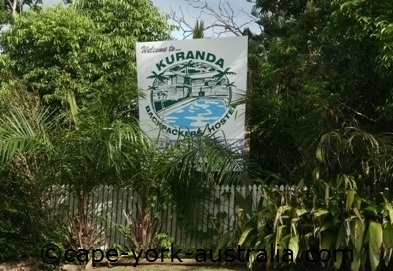 While there are many nice places to stay in Kuranda, there are also hotels and bed and breakfast accommodation outside. Kuranda area hotels are in nice laid-back countryside settings but still close enough to the town to go for a drive in and enjoy the wildlife parks and markets. 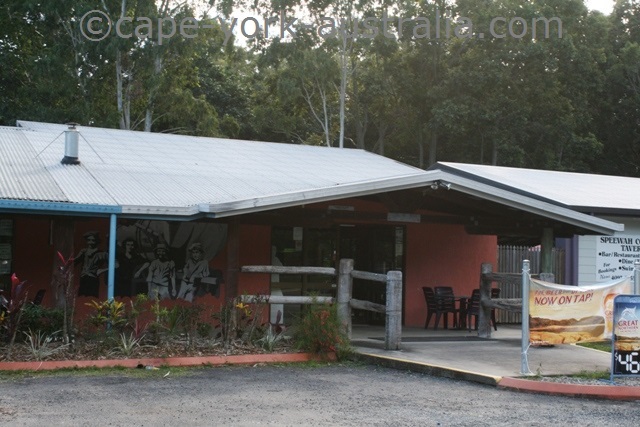 The Speewah Country Accommodation and Tavern is in the small township of Speewah - on your way west towards Mareeba. It has self contained cabins with queen and king beds, tea and coffee making facilities, fridges, TVs, toilets, bathrooms and a swimming pool. 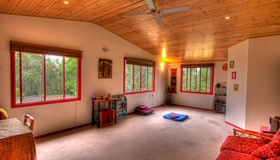 This cabin accommodation is also in Speewah. 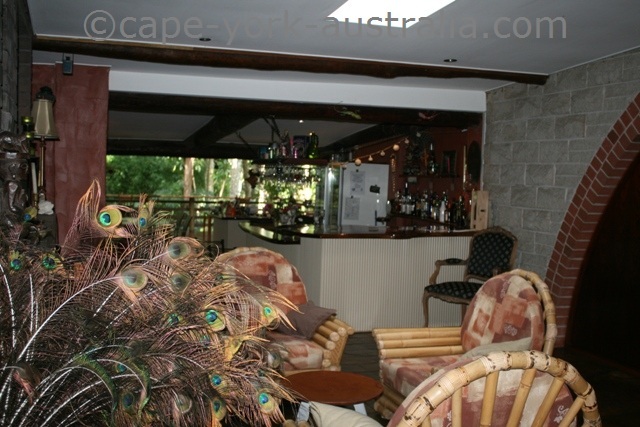 It is a sizeable luxury cabin with a king sized bed, a modern kitchen, a large spa, a BBQ on the verandah with views, and it is fully self contained. All inclusive - all food and drinks provided. Single, double or twin share accommodation in Speewah, with a private deck, toilet and bathroom, tea and coffee making facilities. 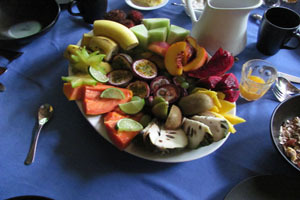 Breakfast, lunch and dinner provided during the stay. 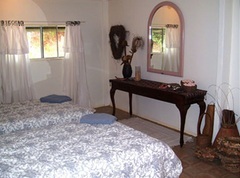 Massage, meditation and reiki packages, and the venue can be hired. 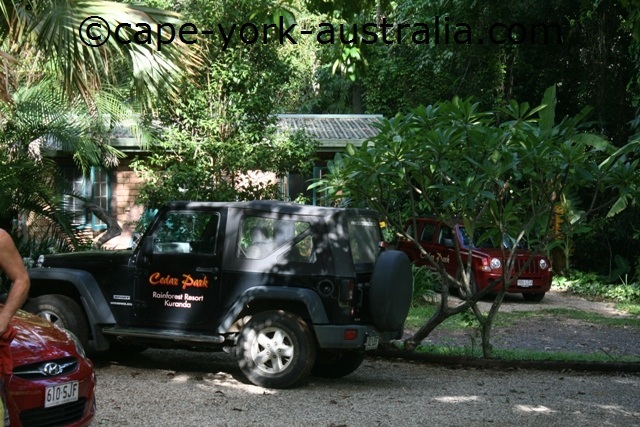 Kuranda bed and breakfast accommodation is quite abundant. Particularly for a village of its size, there are surprisingly many places - more than any other kind of accommodation (the list can get shorter or longer if places come and go). The places below are all in the eastern outskirts of the town - a few minute's drive, or about 15 minutes walk from the village. 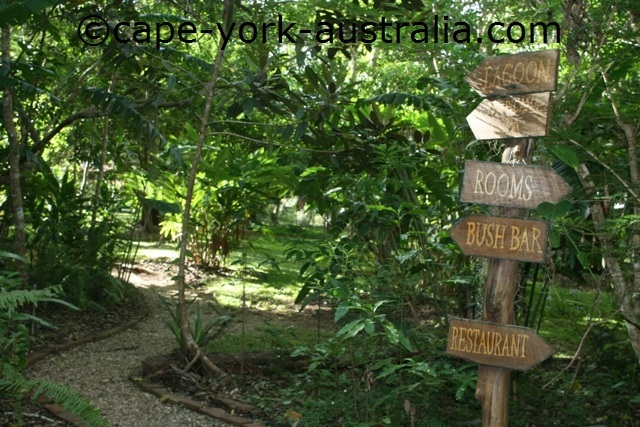 Miju Rainforest Retreat has two bedrooms with queen size beds and an extra single bed available, own toilet and bathroom, a verandah and a 12 metre swimming pool, a living area with TV and sound system, a continental breakfast and a fully equipped kitchen, and access to laundry facilities. 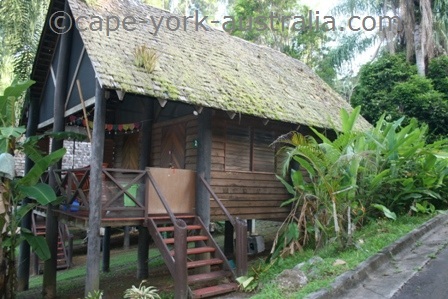 Rainforest House B&B is a self contained studio apartment with a queen sized bed, fully equipped kitchen, own bathroom and toilet, Wi-Fi and TV; and a few different outdoor areas. Continental breakfast is included and a dinner menu is available. Pickup from the airport is included in the price. 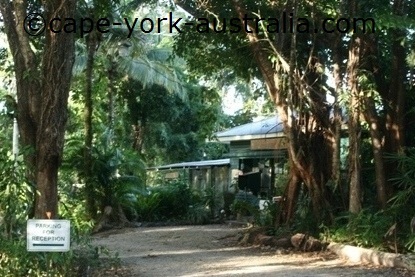 Single (shared verandah and toilet, built-in bathroom) and twin (private balcony, ensuite toilet/bathroom, optional kitchenette) rooms (both have fans, a fridge, and tea/coffee making facilities); and a self contained cottage (queen bed, private bathroom/toilet and balcony with bbq, fully equipped kitchen). 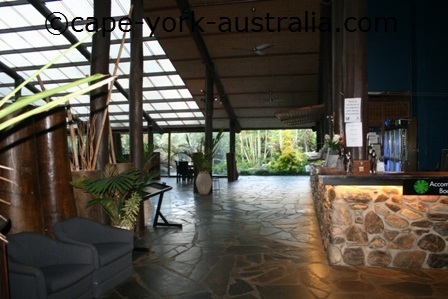 Kuranda Resort and Spa is a relaxing place to stay (UPDATE 2014 it's closed). 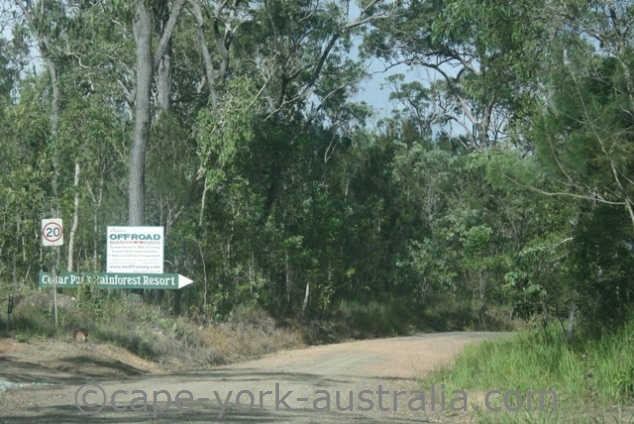 It is just outside Kuranda Village, along the Kennedy Highway west to Mareeba. It has camping and caravan sites, cottages and 55 fully self contained units with fridges, tea and coffee making facilities, microwaves, cable TVs, in-room movies, CD players, internet, difect dial phones, hair dryers and laundry and room service. 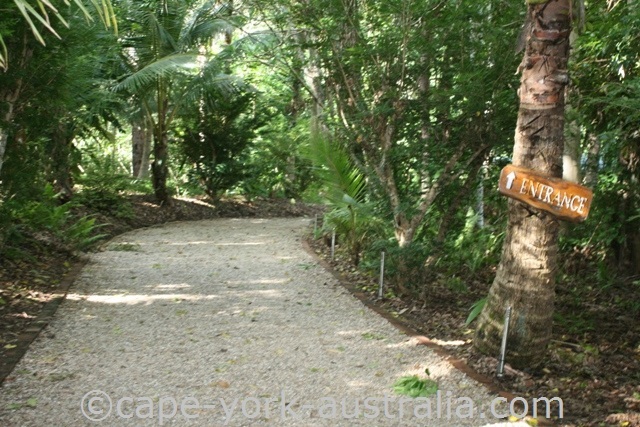 In the tropical gardens there is a sundeck and an outdoor swimming pool. There is also a sauna, a steam room, massage and beauty centre, billiards, gym, fitness centre and tennis courts. 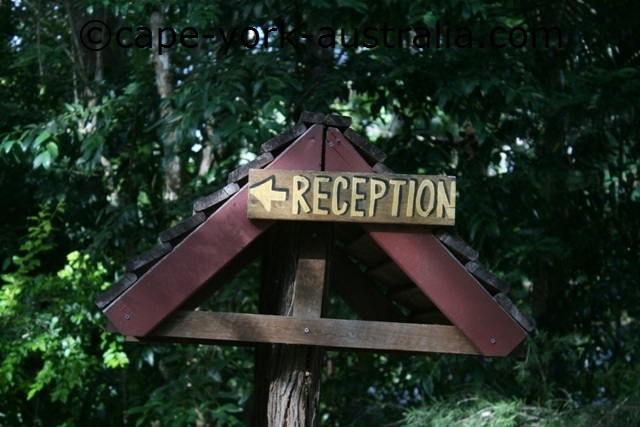 Accommodation is in tropical huts, and there is also a business centre, meeting rooms and conference rooms. There is a 24 hour reception and off street parking. And there is a bar that serves beer, wine and cocktails, and a restaurant that serves breakfast, lunch and dinner. Cedar Park Rainforest Resort is a nice place to stay. 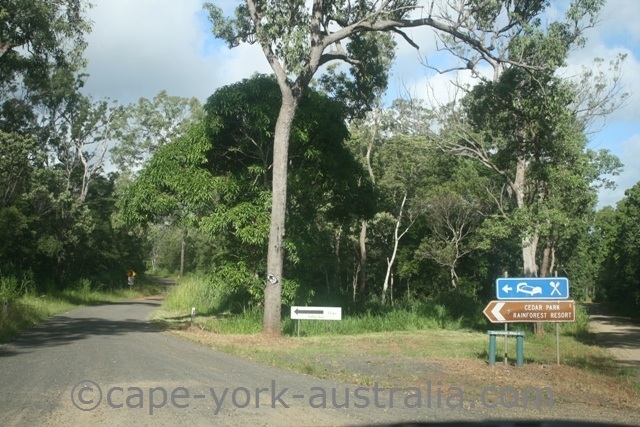 It is a fair way south of Kuranda, but it is in a beautiful forest setting, tucked away from everything else and a really cosy place if you don't mind the drive. The service is also very friendly and the place is small - it only has six rooms so the stay and the service is quite personal. To get there, you turn off the Kennedy Highway south of Kuranda, south of the Koah Roadhouse. The road you turn into is called Clohesy River Road. Further into the Clohesy River Road is a sign to Clohesy River Fig Tree (and the rest of that road is four wheel drive). But you follow the signs to the Cedar Park Rainforest Resort. .. and then follow the path, ..
... and come to the reception. ... and it is laid back and not like a multi million dollar luxury resort. It is rather small and private with only six rooms. ... and staff is very welcoming and friendly. I could easily stay here for a while, the only downside is its distance from Kuranda, but if you just want to relax in the rainforest this is a beautiful place to stay.